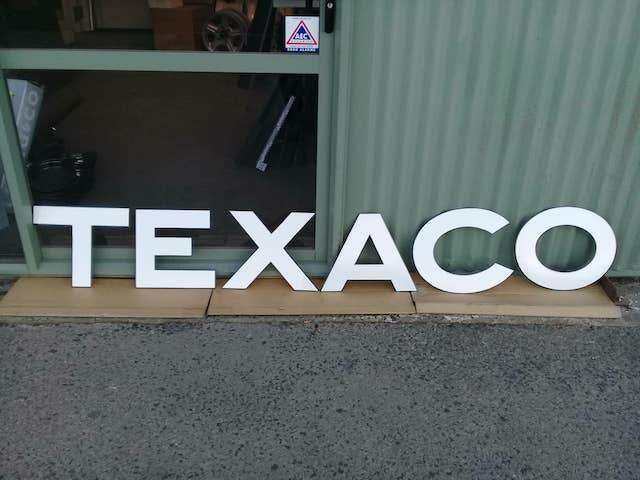 After test fitting the large letters to each side of the tanker, the next step in recreating the iconic logo was to move on to the enamelling process. 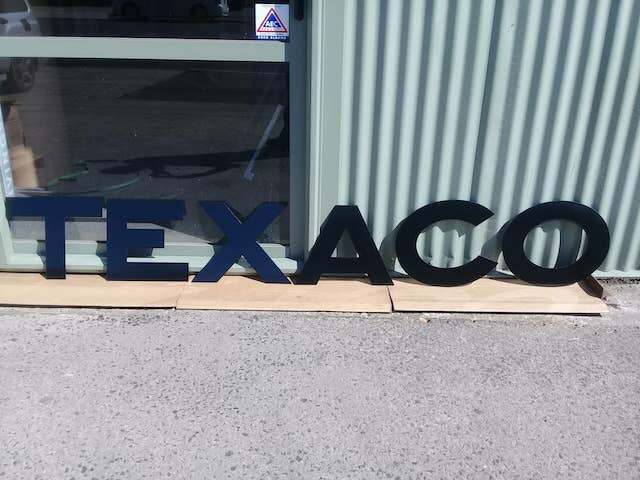 So the two sets of TEXACO letters were packed up and sent on the 890 mile / 1430 km journey south to Procote Industries in the South Island. After arriving in Dunedin, the precious cargo was delivered to Procote in person by our long time friend, Graham Rollo. 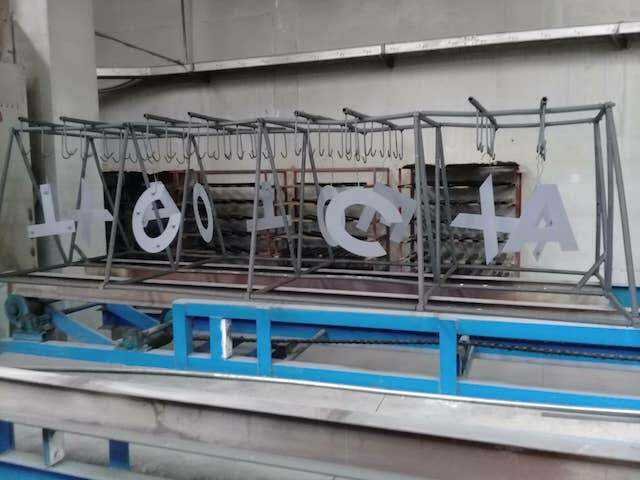 The member of the team at Procote Industries that would be enamelling the letters was Grant Davis. 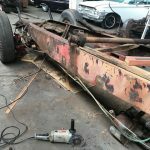 Grant has been an enameller for 35 years, and is also a ‘car guy’. We just couldn’t have hoped for a more experienced and enthusiastic person to undertake this process. A ‘before’ shot prior to starting the vitreous enamel journey. 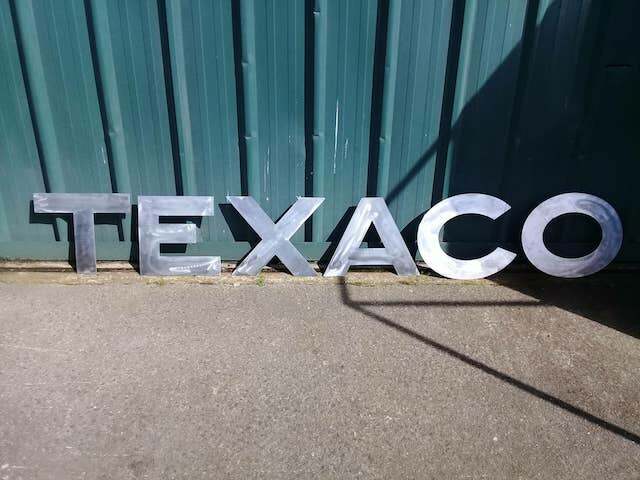 The TEXACO logo letters were suspended on hooks and placed on a frame in readiness for the firing. 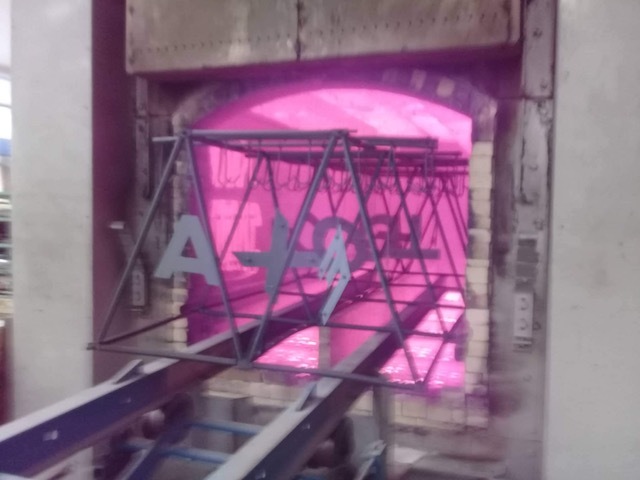 These images capture the letters entering the furnace. The firing temperature would have been between 750 – 850 degrees Celsius (1380 – 1560 degrees Fahrenheit). 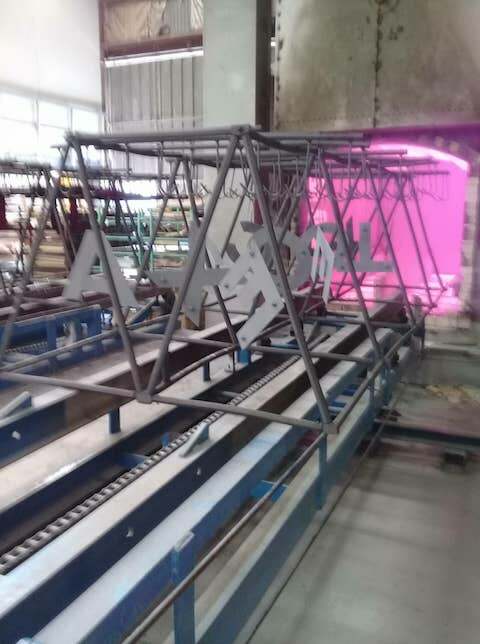 After the firing, the colour of the support framework gave a good indication of the intense heat inside the furnace. Half way through the process. The first firing of the black ground coat had fused the enamel on to both sides of the letters. The ceramic glass, called frit, is the main ingredient in porcelain enamel. 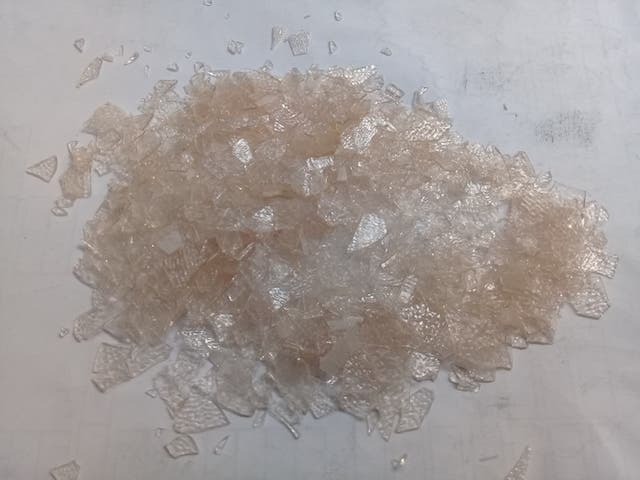 In this form, it has already been fused in a special oven, rapidly cooled or ‘quenched’ to form a glass, and then roughly granulated. The machine that was used to grind the frit is called a rolling ball mill. 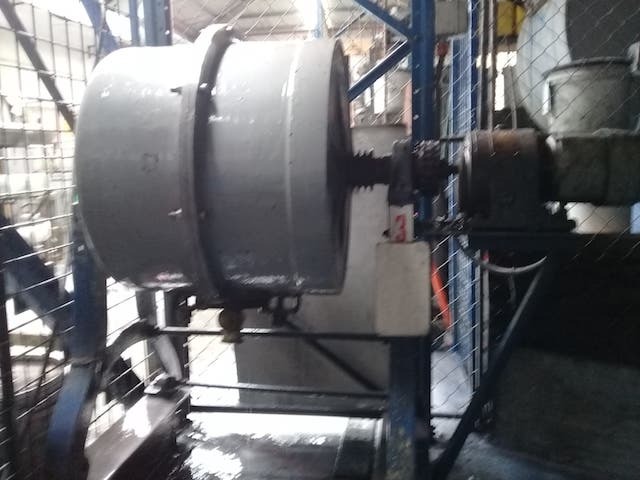 It rotates on a horizontal axis and is partially filled with grinding media. At Procote Industries, the grinding media used in their rolling ball mill (shown above) is ceramic balls. 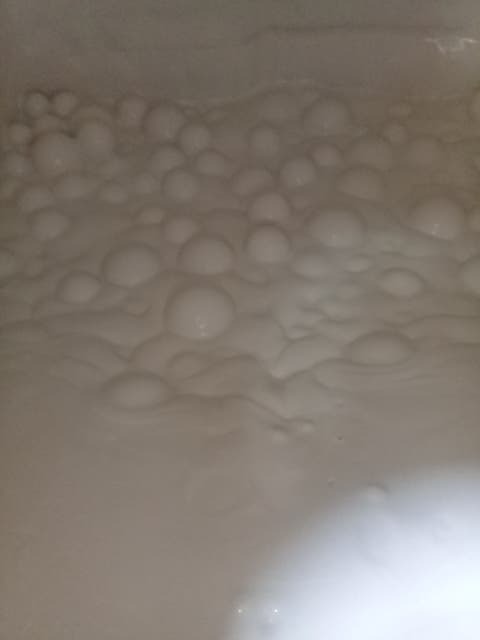 The frit granules are added, and the cascading and tumbling action of the balls reduce the frit to a fine powder. 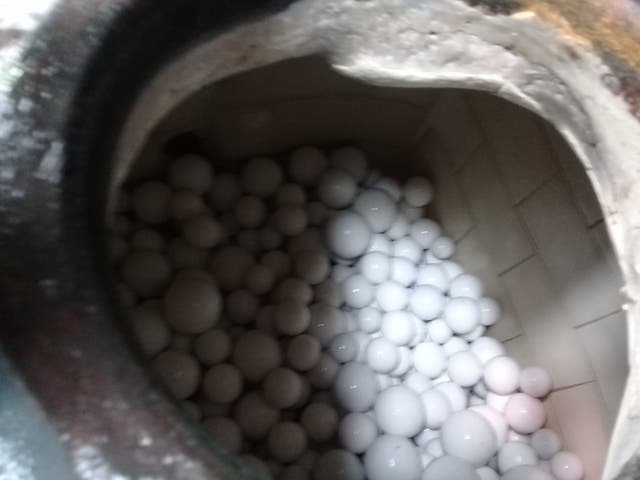 A view inside Procote’s rolling ball mill shows the ceramic tiles that line the interior wall of the grinder, and the ceramic balls. 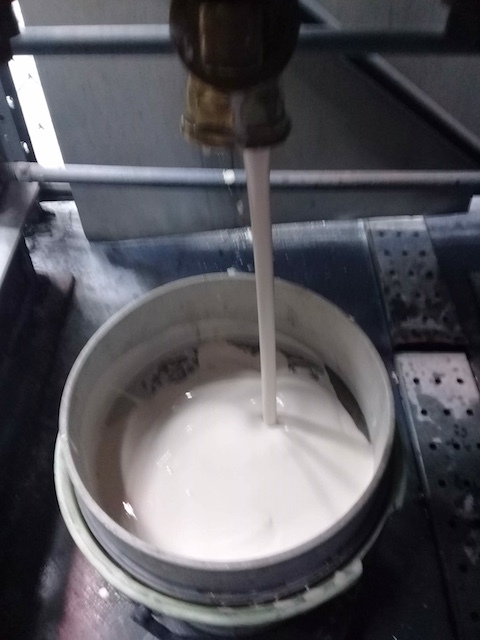 Water was added to the frit to produce the porcelain enamel mixture. Grant mentioned that it took 2 hours to grind the enamel to a liquid form that was of a usable consistency. 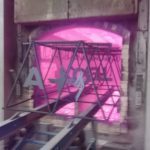 Once the desired consistency was achieved, the liquid enamel was released through the bottom of the rolling ball mill. 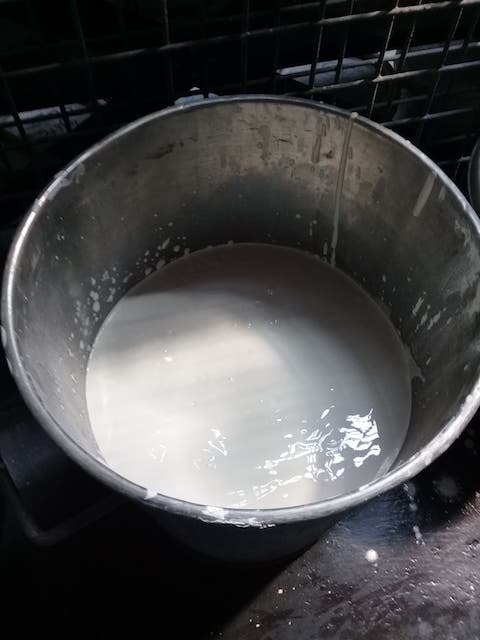 The finished product – white porcelain enamel. 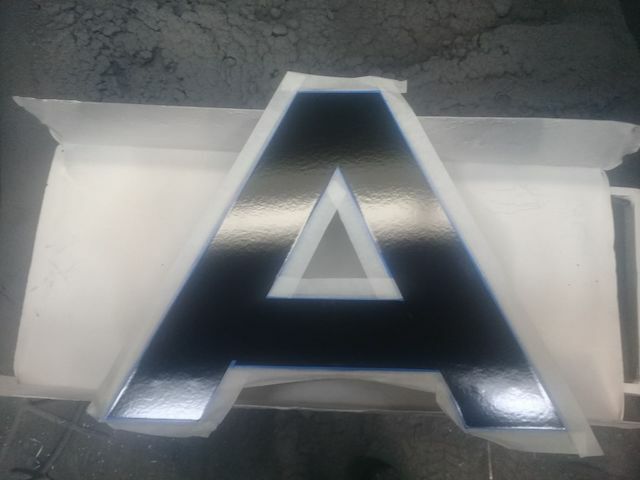 To infill the white, Grant had to mask a border on each letter. The removal of the masking tape proved to be a challenging exercise and a few wash offs were needed. But the end result was just what we were after. 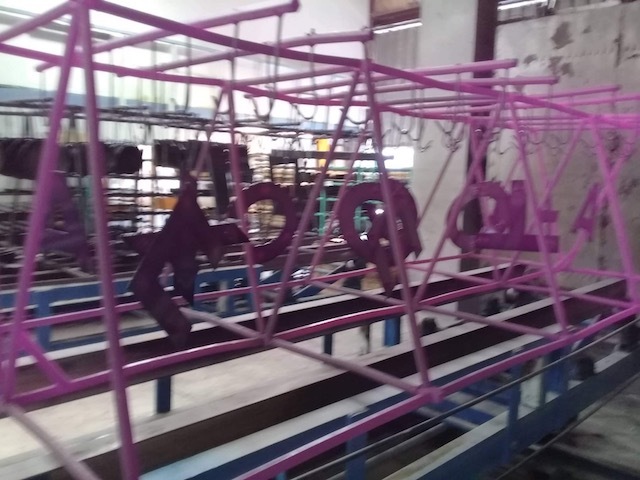 The letters were then ready to be fired for a second time. The temperature during this firing was a bit cooler than the first, to allow the two colours to bond but not run together. The end result. 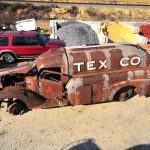 The eye-catching TEXACO logo. 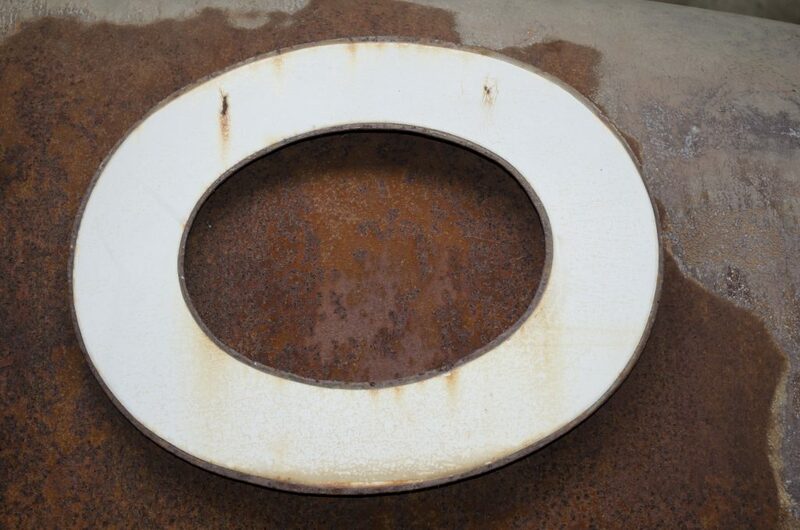 For us, the true appreciation of these recreated enamel letters is in knowing that Grant has handcrafted each piece. Any small imperfection, or flaw, reflects the individuality of each letter, and the unique characteristics that porcelain enamel produces. 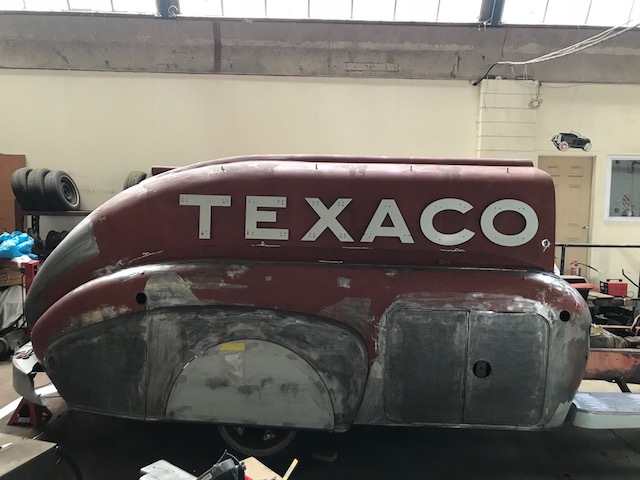 Although we decided to recreate new logos to complement the full restoration, the original letters are a valuable part of the tanker’s history. 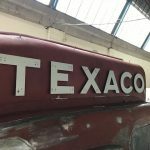 Our intention is to mount the originals on a board, and then display them with the restored tank truck so that the old and new letters can be seen together and appreciated. We are thrilled that the art of porcelain enamelling has been used to replicate the tanker logos, just as it was eighty years ago. 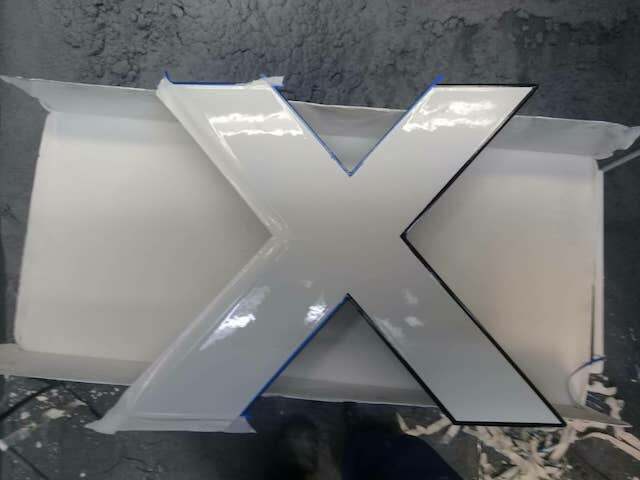 The porcelain enamel letters will be one of the main focal points of the tanker, so it is very special to use the services of, and showcase, a New Zealand company. 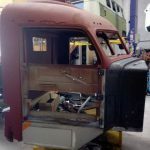 Our sincerest thanks to Grant Davis, Neville Dasler and Michelle Dasler of Procote Industries for their contribution to the project. Their interest, enthusiasm and positivity towards enamelling the letters has made dealing with them such a pleasure. Grant kindly took photos throughout the entire process to offer some insight into what was involved. We are very thankful to have had these images taken to record this part of the restoration journey. Neville and Michelle emailed several times to explain the enamel process to me which was very helpful and greatly appreciated. 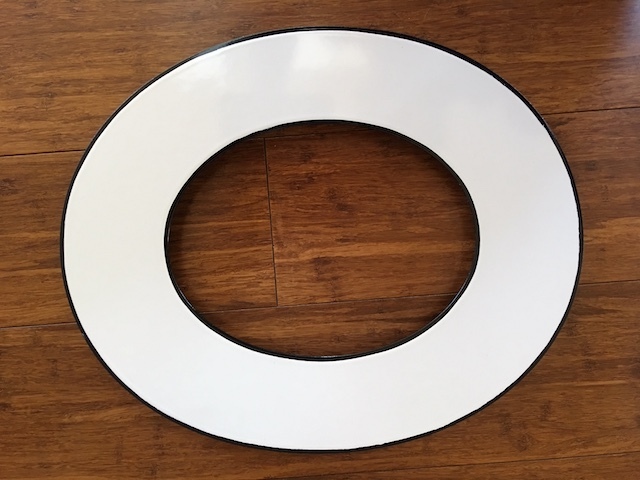 And Michelle put together the following short video that she compiled, using the imagery, to record the different stages of the vitreous enamel process. 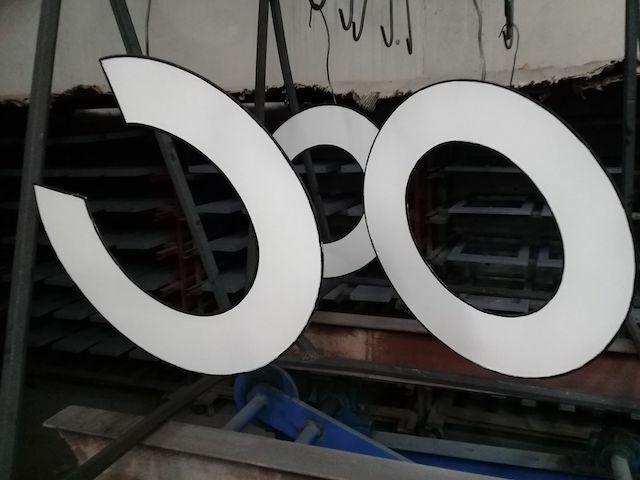 We are looking forward to working with Neville, Michelle and Grant again shortly when the trunk letters have had the brackets attached and are ready to be enamelled. A final word of thanks to Graham Rollo who not only personally delivered the letters to Procote, but also collected them when they were finished. Graham then organised the careful packing and safe delivery of these enamel treasures back to Auckland. We have very much appreciated his help. What a great out come Sue, I bet Steve is over the moon with the way it has come together after all his hard work. Steve loves that the letters and brackets have come out so close to the originals, and is really pleased with the end result. Thanks Al.